Trans Globe Lighting Dash Collection Ceiling light in brushed nickel finish, has metal construction for added durability. It utilizes 60-Watt lamp for energy efficiency and long life. 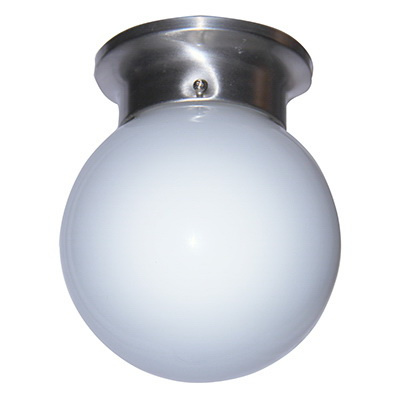 This flush mount light is suitable for foyer/hall lanterns. Ceiling light is UL listed for damp location.